Looking to sell your used or second hand Digger or excavator? 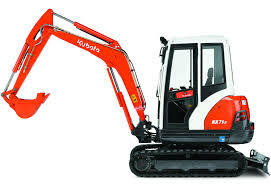 Do you have a Used or Second hand excavator for Sale? Are you looking to sell your used or second hand digger? Do you have a used or secondhand excavator for sale? 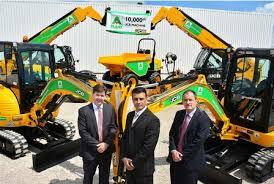 At Sellmydigger.co.uk we buy diggers for cash, regardless of their size, make or model. We also don’t discriminate against those who wish to sell their digger which is already be used or second hand. No matter where or how you acquired your current digger that you are looking to sell, we will certainly take a look at your machinery and offer you a quote based on this. We know that each digger has its own back story, whether that be the hours it has worked, the variety of jobs it has worked on, or the number of owners it has had previously. With this in mind, we treat all those making an enquiry equally. For instance the machine you have may already be second hand, but has been used for less man hours than customer who may have a digger for sale which had no other previous owners. A second hand excavator or digger can perform just as well as a machine from new, so we are happy to buy your machines for cash. This not only gives you peace of mind, but also offers us quality machinery that we can still make effective use of. So If you have used or second hand digger for sale or you’re looking to sell your used or second hand excavator, then don’t hesitate to get in touch with us. All we need are a few details in order to get back to you with a quote. We can usually get back to you in under 48 hours but this may change in busy periods. We may also ask to undertake an inspection of your machine, but this is purely routine and isn’t always necessary. For any questions about your second hand digger for sale, please get in touch and we’ll be happy to chat about your needs and machinery. Simply fill in the Request a Valuation form now and we’ll be straight in touch to value your used or second hand digger or excavator!